We recorded the same speech with a RODE PinMic connected to 3 digital voice recorders for compmarison. RODE PinMic was connected to three voice recorders to record the same speech in the same environment. 192kbps in MP3 format with auto leveling. Size comparison between the H1 and Sony ICDUX523. 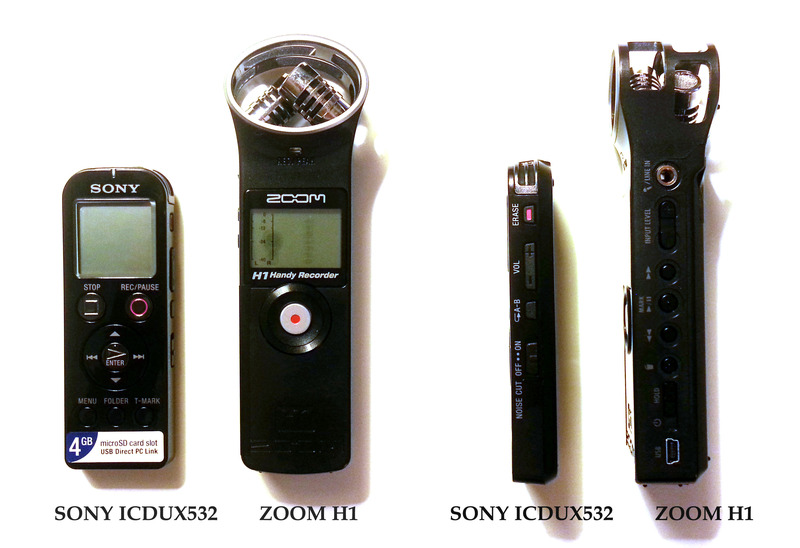 Posted by Brady on 8/2/2013 6:45:00 AM How do you find taping or "velcro'ing" the Zoom H1 to a handheld microphone? Is it still a bit chunky? Do people doing speeches have issues with this? Is it clear audio?